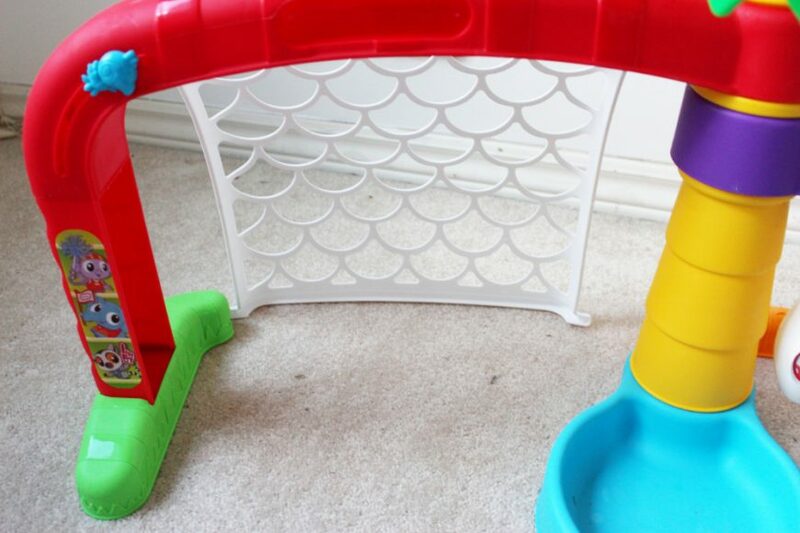 Indoor Sports Fun Perfect For A Happy Toddler With Little Tykes! 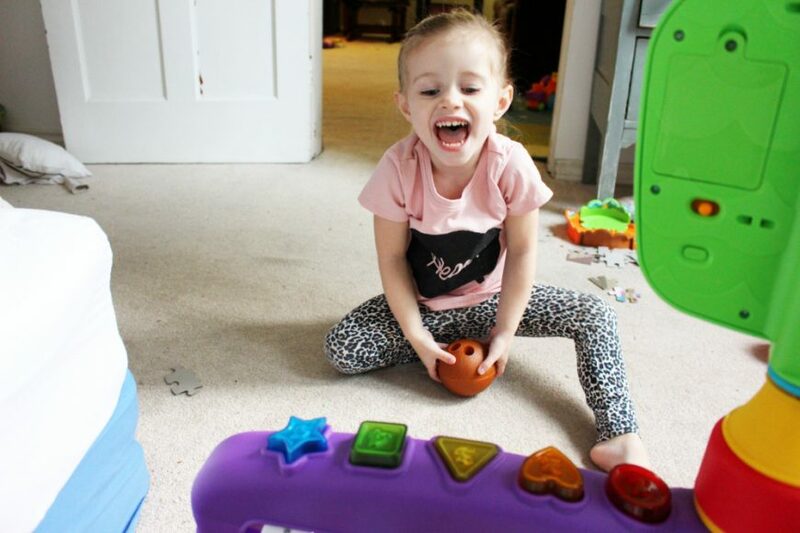 Indoor Sports Fun Perfect For A Happy Toddler! 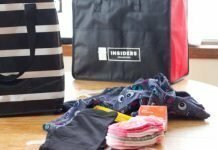 Does Your Toddler Love Sports? Are You Tired Of Saying Take It Outside? With a big sister who adores soccer, Zoe also has a love for the game as well. 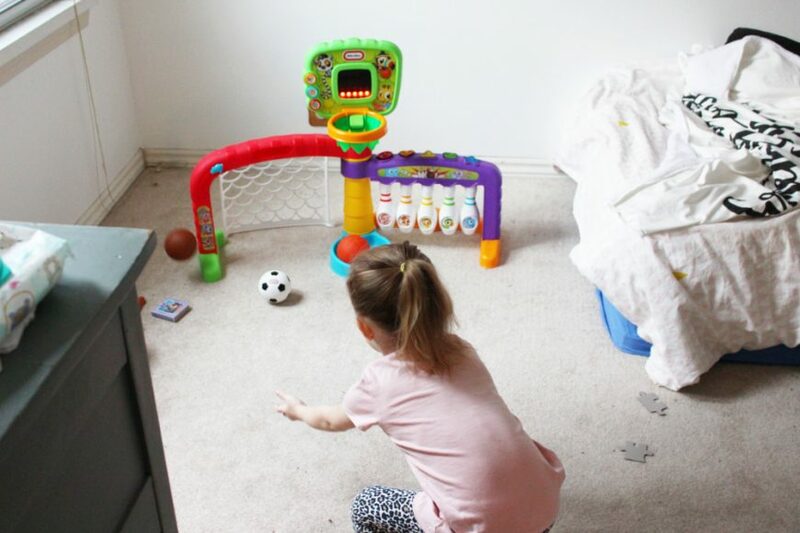 When I saw the Little Tikes Light ‘n Go 3-in-1 Sports Zone, I knew Zoe would fall in love! Zoe can dunk, kick and score with three fun sports: Basketball, Bowling, and Soccer just like her big sister does! 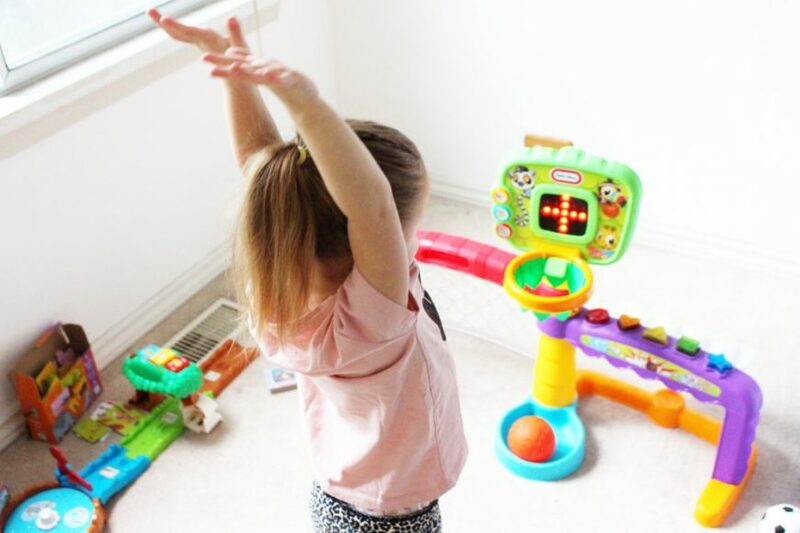 With an adjustable height hoop for basketball and soccer to help build gross motor skills; toddlers will have a blast bowling to teach them their shapes and colors. 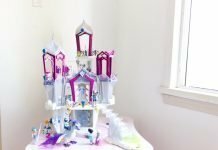 I spent so much time telling the girls not to throw things in this house, this is one way they can have indoor fun. 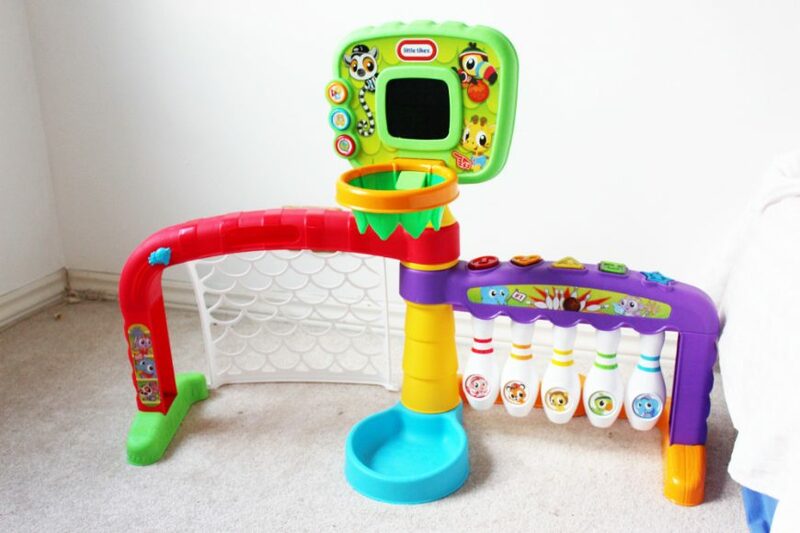 The Little Tikes Light ‘n Go 3-in-1 Sports Zone includes 3 balls, lights up and features over 75 songs. The backboard lights up making the fun an afternoon of sporting that much more fun! 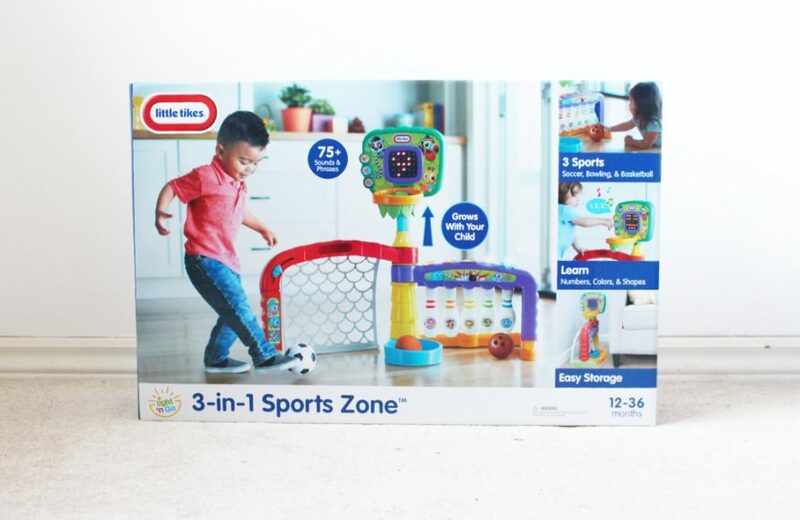 The Little Tikes Light ‘n Go 3-in-1 Sports Zone is that it folds up compactly for easy storage. 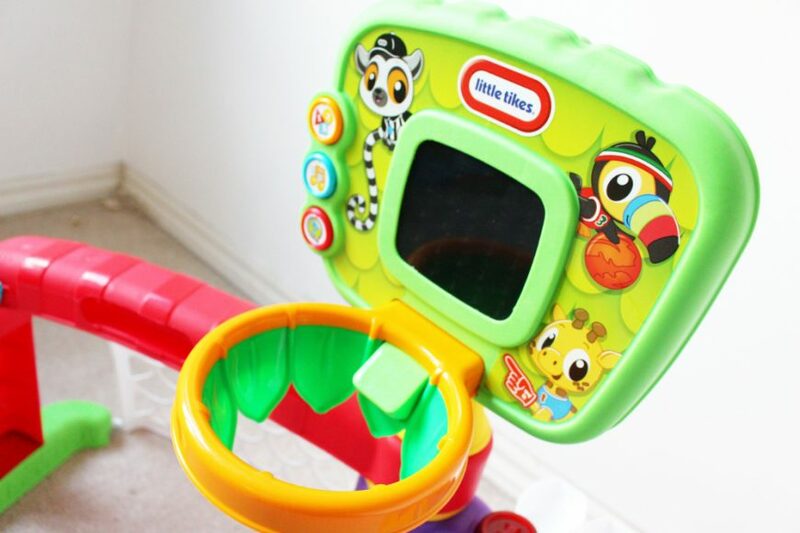 The 3 mode buttons on the backboard grow with baby and teach them different skills while inspiring fun and developing confidence. As much as Zoe loves to play soccer with me and/or Ava, I love that she can play this on her own and has fun with the 3 different modes. 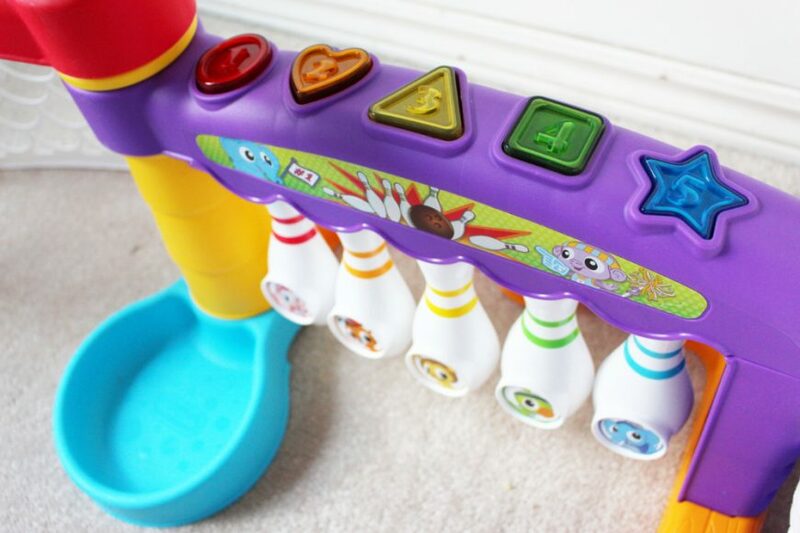 The Little Tikes Light ‘n Go 3-in-1 Sports Zone will help your little learn numbers, colors, and shapes. Encourage movement with lights and sounds and play games with your child which helps teach your child to follow directions. Did I mention that everything folds up compactly for easy storage? 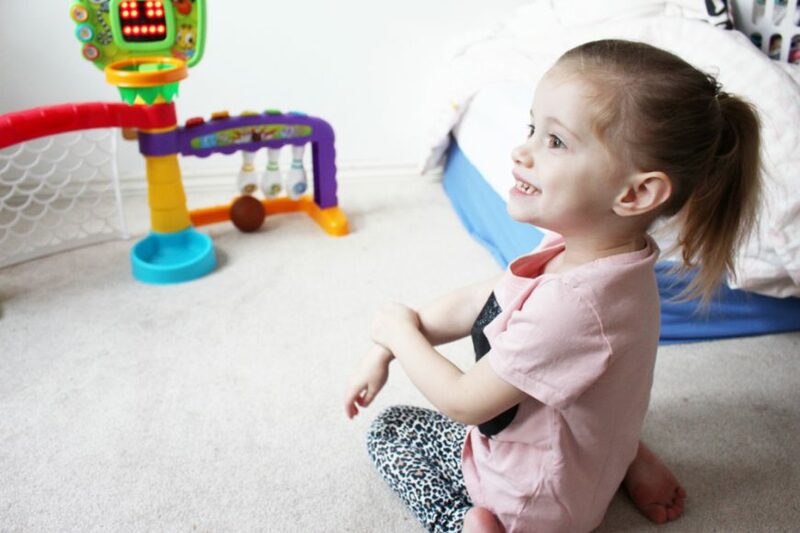 The Little Tikes Light ‘n Go 3-in-1 Sports Zone is such a hit in our house that we’re giving one away to one lucky reader. 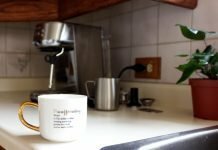 You must be a Canadian Resident to be eligible to win! Perfect Toy for those energetic toddlers who love to play sports and moms who dislike yelling no throwing in the house! Is dancing a sport? Heh. My niece loves kicking around a ball, so guessing soccer. Is running after and annoying her siblings a sport? Haha, because this is what constantly happens in our house. 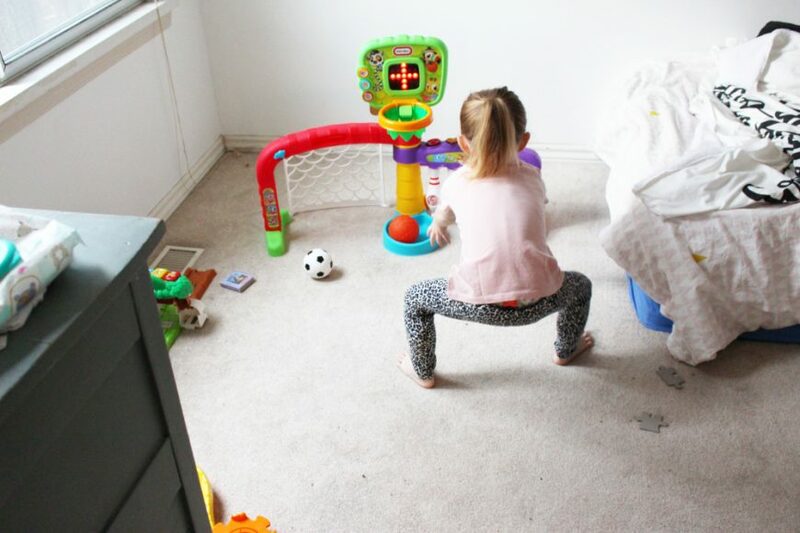 My toddlers favourite sport right now is hockey. My grandson likes hockey the most. my girls both absolutely loved basketball! Soccer is my daughters favourite sport. Climbing? Does that count as a sport? Otherwise baseball with the Christmas ornaments. My 14 month old just started jumping! It is so adorable! Her favourite sport is basketball and she’s pretty good! She has to go to all her big sister’s practices and games because their dad is the coach and I either work or play my own sports on the practice and game nights, so she seems to be picking it up really well from that! He loves basketball and hockey and baseball all equally but i would say right now hes really fixated on curling since we just watched it this weekend. Soccer is the favourite sport here. My little one likes to play soccer and to wrestle. Thanks! My little loves soccer and baseball! Right now it’s all about dancing and throwing her ball!! My little guys enjoy playing hockey because they watch their daddy play. I’m not very good so we more or less hit the balls around. They love running back and forth in the basement chasing after each other and the balls. It’s always good for a laugh and a great way to get active. 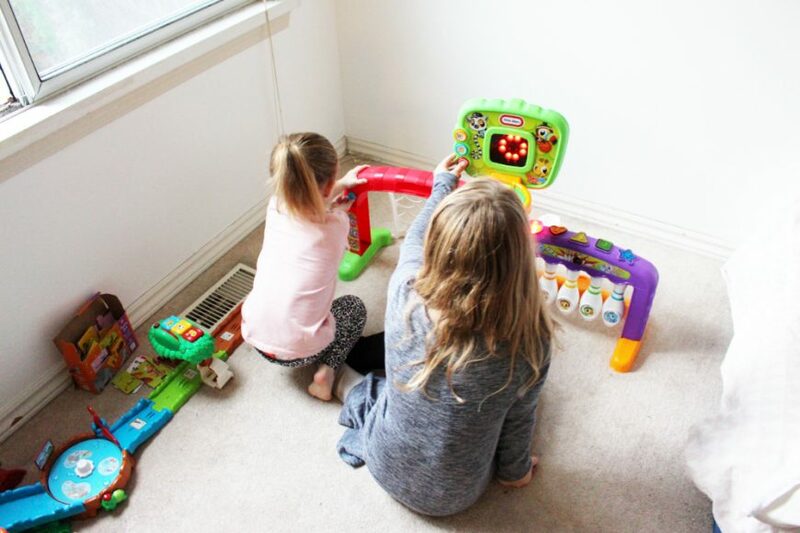 They would love the Little Tikes Light ’n Go 3-in-1 Sports Zone. Thank you and happy holidays. She’s loving ice skating right at the moment!